Meanwhile, in Japan, the film minister Masahiko Amakasu intends to counter Hollywood’s growing influence and usher in a new golden age of Japanese cinema by exploiting his Swiss visitor. The arrival of Nägeli’s film-star fiancée and a strangely thuggish, pistol-packing Charlie Chaplin—as well as the first stirrings of the winds of war—soon complicates both Amakasu’s and Nägeli’s plans, forcing them to face their demons . . . and their doom. 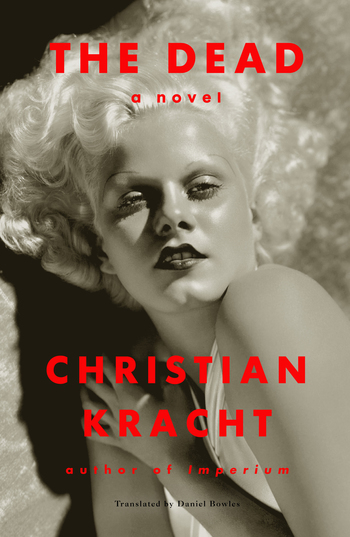 Christian Kracht is a Swiss novelist whose books have been translated into thirty languages. His novel The Dead was the recipient of the Hermann Hesse literature prize and the Swiss Book Prize. Daniel Bowles teaches German studies at Boston College. His previous translations include novels by Thomas Meinecke and short texts by Alexander Kluge and Rainald Goetz.